1 x seed packet containing 10x Arisaema aprile seeds. 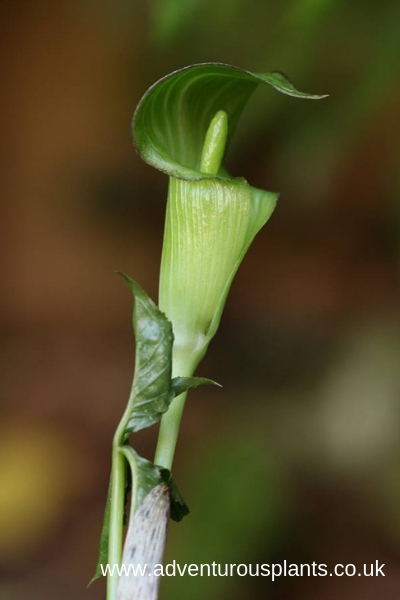 From Japan, Arisaema aprile is a very rarely seen dwarf species. 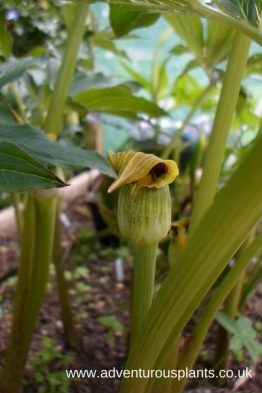 Reaching only around 25cm in height at the very most, Arisaema aprile makes pale green spathes with feint vertical stripes. Easy to grow, this lovely little plant is best grown in a pot in order to appreciate the flower close up. Flowering size tubers are only around 1.5cm in diameter. 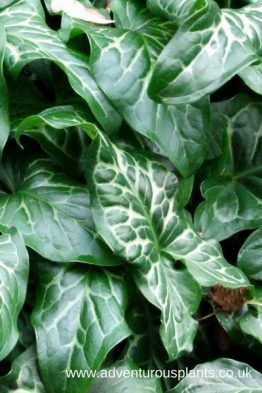 Hardiness untested, although very likely frost tender and excellent drainage would be needed in the garden.